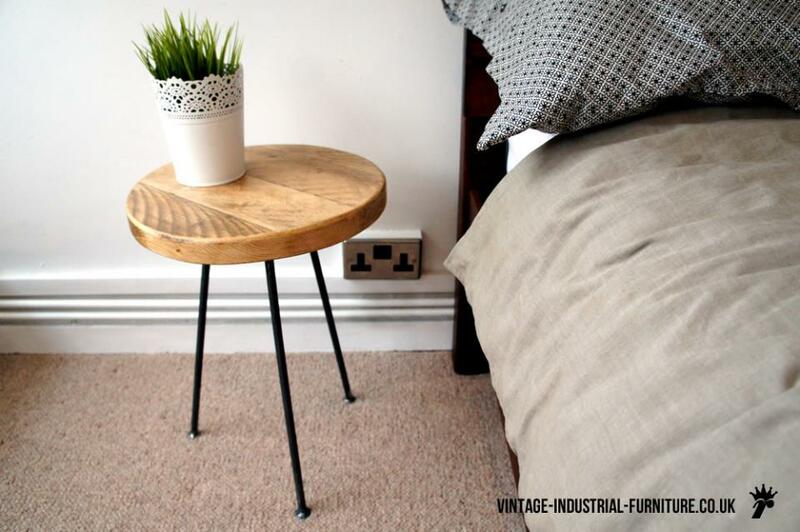 Our vintage industrial bedside table is well proportioned and elegant - perfect for a bedroom. 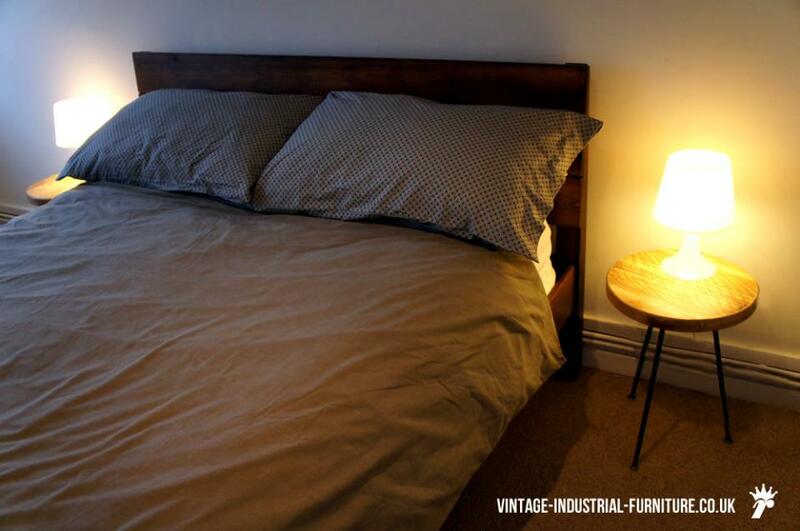 However, it still maintains a rustic handcrafted feel in common with our other pieces. 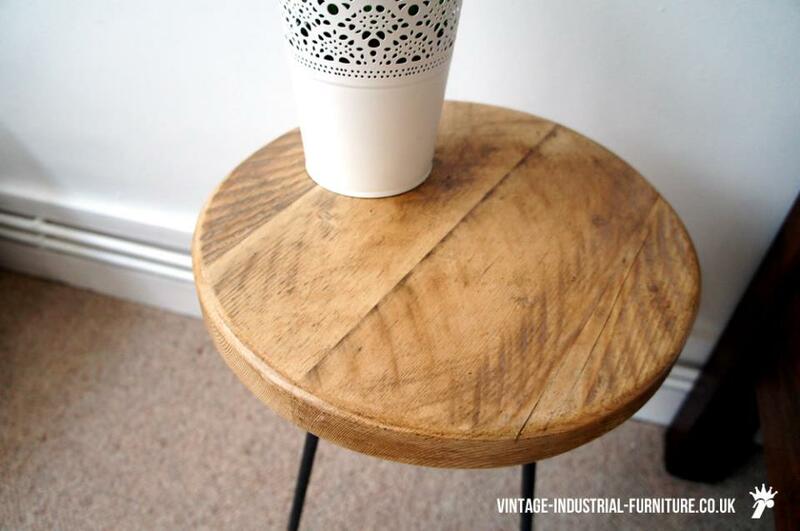 The top is lovingly hand made at our Birmingham workshop, receiving several coats of high quality low sheen lacquer. A few "dings" and quirks remain in the wood, hinting at a previous life. The slender steel legs are angled outwards to form a tripod base giving good stability on floors which are less than perfect. They are terminated in small, cute steel discs with weld detail. 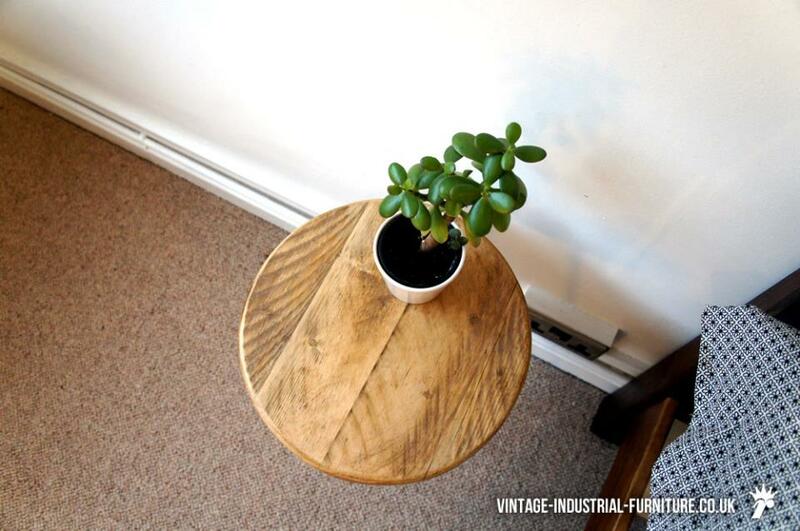 The top is 35cm in diameter and approximately 3.5cm thick. 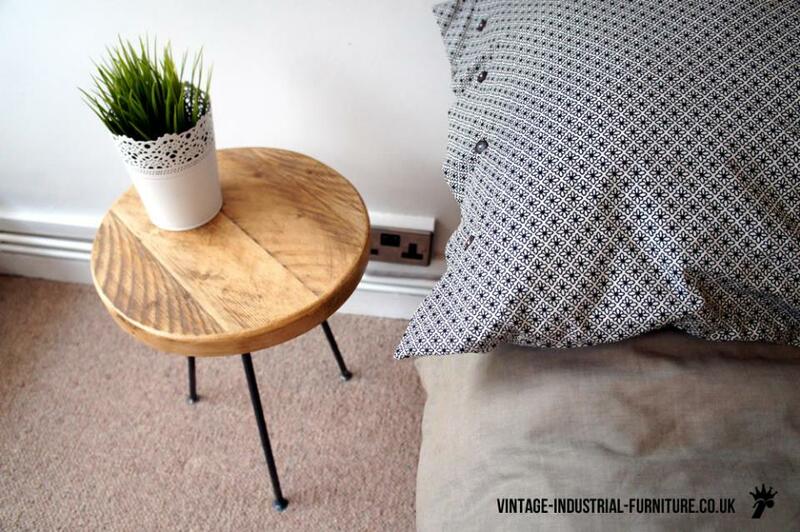 We are offering our vintage industrial bedside table in singles and as a matching pair.